Cyber attackers have become even more sophisticated as they begin to target cloud providers with innovative phishing methods. Cloud security researchers have revealed that cyber attackers have discovered two ways that phishing emails are evading Microsoft Office 365 security protections: one using “hexadecimal escape characters” to hide coding and links, and the second by compromising SharePoint files. An example provided explains how a phishing email, designed to be sent by PayPal and includes a fraudulent login page requesting Personally Identifiable Information (PII). By entering the individual’s sensitive data, they have unknowingly sent it to the cyberattackers. This is a common method of attack and why people must remain vigilant when clicking unknown emails or external links. The issue however is that these “phoney” emails are deceptive and are programmed to evade detection because their malicious links are hidden, the fake login-page is locally produced, and sandbox technologies generally overlook HTML files with a submit button. This case shows two things very clearly: First, security measures such as anti-virus scanners alone are never enough to ensure effective protection against unauthorized access to files and data. Users can not be prevented from clicking on malicious links or files. 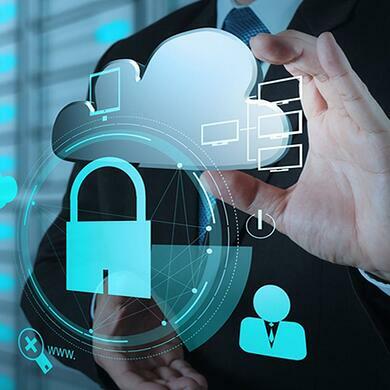 And secondly, businesses must and can help ensure their data and files are better protected in the cloud, even if the cloud providers themselves take the highest security measures.